It's all happening in Adrigole over the August Bank Holiday weekend as we welcome visitors from far and near for the 2018 Adrigole GAA Festival Weekend & Duck Race. This year’s festival is once again packed with family fun, top musical acts and much much more. The festival runs from Thursday, August 2nd to Sunday August 5th. Highlights include fantastic live music and entertainment.. This year Wild Atlantic Tag will take place on Saturday August 4th. All are welcome, whether you are a team entry or an individual looking to join a team. The teams will be divided into two sections, Social & Seriously Social! 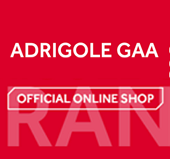 Please contact Cian O’ Neill ( 086 7374771) to register or check out our website www.adrigolegaa.com for further information. It promises to be great craic with plenty of refreshments available pre and post-match!! !